How to Insure Your Future in an Unstable Economy? How to Insure Your Future in an Unstable Economy? It is not easy but there are simple guidelines that might help make the task easier and set up good habits that in the end will insure your financial future. 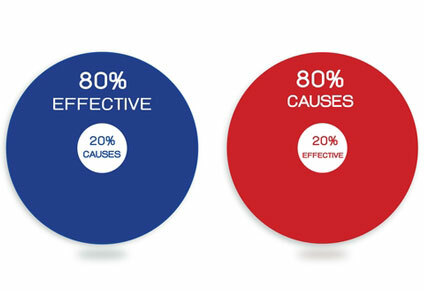 Take note the Pareto principle, or the 80/20 rule, suggests that roughly 80% of effects come from 20% of causes. Whether you’re an established business person, a salaried worker, or a professional, a forty-something or straight out of school, there are small things that you do in your daily life, which actually define the course of your future, without you even realizing it. The outside world is a factor of course as well. And these days it seems increasingly unstable. Sometimes even worryingly so, especially when it comes to financial matters. Now, if you bring your focus to the finances, it isn't hard to agree that money is something extremely important in everyone’s life including yours. Think about it, with increased expenses, competing objectives, and limited income, financial stability is something that you need. But how can you hope to achieve it when the world at large seems to be in such disarray? This does sound like the most clichéd piece of advice, yet it is still extremely important. Most people, especially the young, subconsciously assume that maintaining a budget isn’t necessary at all unless you are getting older. As long as the bills are paid every month, who cares? And who really wants to limit their enjoyment of life - and the money they work so hard for - for the sake of living a miserable, frugal but boring life? But it does not have to be that way. Effective budgeting just helps you to gather an educated picture of where your money is actually going. This enables you to better plan out expenditures, get rid of any truly unnecessary expenses and, of course, save. You may very well find that by actually making and sticking to a budget you find money for pleasurable things like a nice holiday simply by cutting out that latte a day habit and saving your money instead, meaning that your budgeting efforts bring joy rather than the misery you might have imagined. Another obvious financial must that many people don't take very seriously; savings. 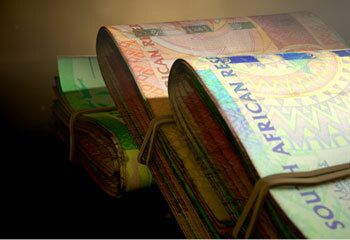 We are all well aware that saving is paramount to maintaining long-term financial stability. However, long-term saving as a habit calls for some serious willpower. It’s hard to isolate some extra money in the budget and actually prevent yourself from spending it on the many other things you could be spending it on instead. Even if you do manage to start a disciplined habit of saving, it’s not difficult to be tempted and end up losing all that willpower to save. Basic maths can be used to easily demonstrate the power of compound interest. The simple fact is that the sooner you start to save and invest your money the better. You'll need to save less to get more. It sounds crazy, or like a magic trick, but it's just the way that compounding works. But you need to do more than simply stash your cash in a simple savings account. No matter what your income level, you need to think about investing for the long-term. Building a balanced portfolio of different asset classes is always advisable to make handsome returns over the long term, and a good way to prevent your money from losing value due to rising inflation.